Firestorm is (SL) Go – and across multiple grids! 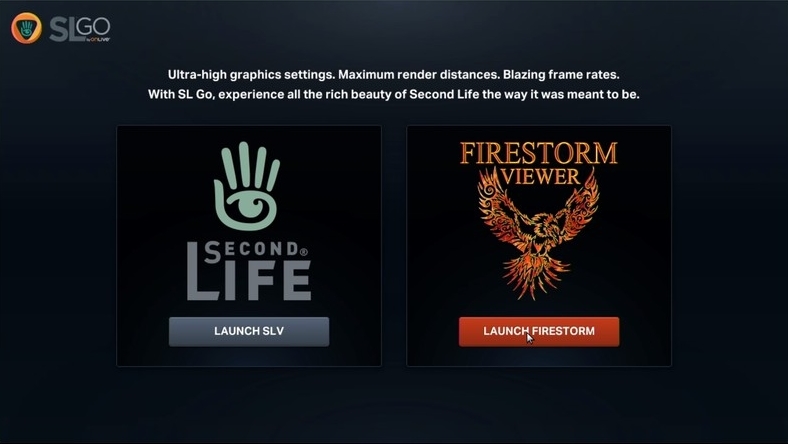 On Tuesday, December 16th, 2014, OnLive, the providers of the Second Life streaming service, SL Go, announced a new addition to the SL Go service: The Firestorm Viewer. AND The Firestorm viewer, initially available for Mac computers and PCs, which can be used to access Second Life and OpenSim grids. SL Go’s pricing options remain the same whichever viewer you opt to use, and you can swap between them at any time you like, should you wish. Simply make your choice from the SL Go selection screen. Since its launch in March 2014, which I covered in-depth at the time, the SL Go service has proven to be very popular with people who are using low-end systems which traditionally have problems when trying to run the viewer locally. Because the viewer is streamed from OnLive’s dedicated servers, it’s the servers that do all the heavy processing, delivering a fast, smooth service to users, thus helping to give a new lease of life to older hardware. Of course, because SL Go is streamed, it means that – like the SL viewer offered by OnLive – certain functionality within the Firestorm offering has either been removed for security reasons (such as the Develop menu, and no access to debug settings and content cannot be uploaded), or has been disabled (such as the option to save snapshots to a hard drive – as that would effectively mean saving them to the OnLive server). The big benefit in using Firestorm through SL Go is that – with the noted exceptions due to security issues, etc., – it brings the richness of Second Life’s most popular third-party viewer to those on older systems who have perhaps felt themselves to be increasingly edged out of Second Life, something Firestorm Project Manager Jessica Lyon commented on when discussing the release with me. “I’m really happy about this,” Jessica said. 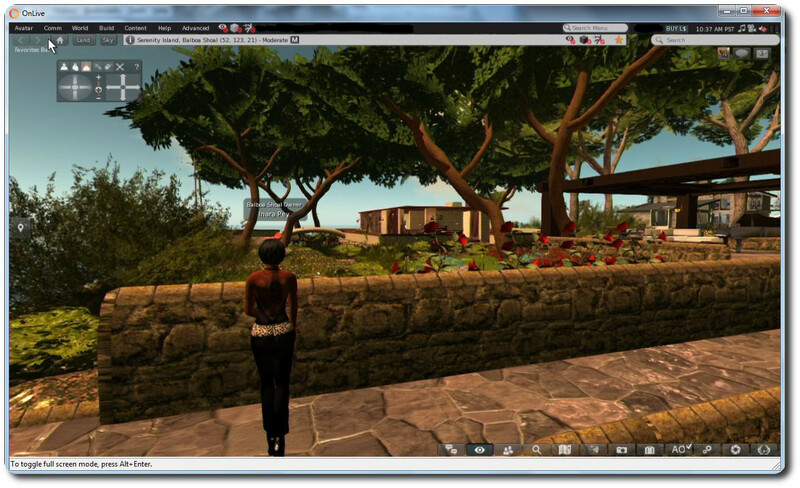 “For years folk on lower-end systems have seen significant improvements to Second Life, particularly with how the world looks, pass them by because their systems are unable to run them. We’ve even heard from many that they simply cannot use Firestorm or any other viewer and as being pushed out of SL completely. I can personally attest to that. In 2010, I purchased an Asus PC EEE 1201N notebook, which has found running a viewer like Firestorm increasingly heavy going. With Firestorm through SL, with all the bells and whistles turned-up, I’m averaging around 60 fps! That SL Go does bring a new lease of life to older hardware can be seen in the fact that since the launch of the service in March, 2014, the largest take-up among users has been by those using the service through the OnLive PC and Mac clients. But those who want Firestorm on their mobile devices need not fear – it will be coming in 2015. This is something Jessica is also looking forward to. And it doesn’t end there. 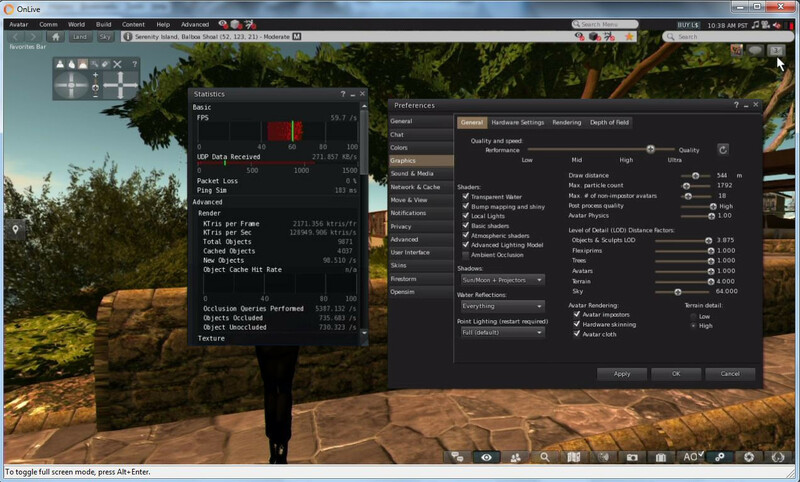 One capability that Firestorm brings to OnLive and SL Go users is the ability to log into other grids as well as Second Life. 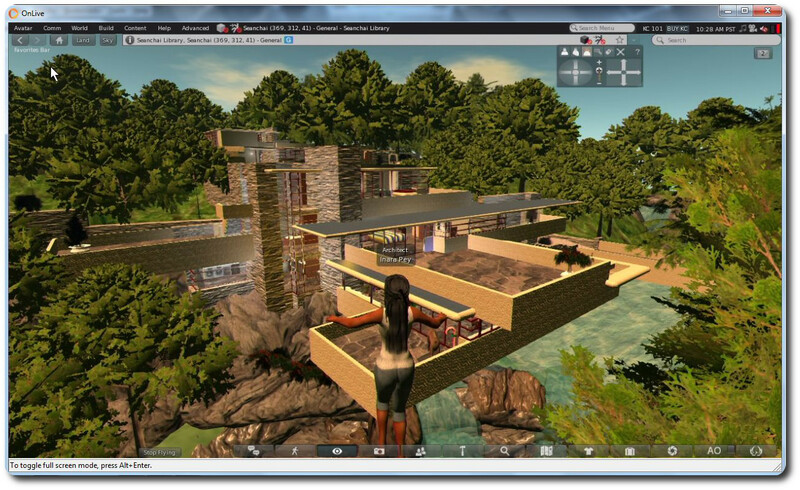 The version of the viewer supplied to OnLive is the OpenSim version, which means it is complete with the grid manager and start-up grid selection drop-down, allowing you to log into all your favourite grids – as I did, logging-in to Kitely and Fallingwater at the Seanchai Library. Thus, with a single subscription to OnLive, you gain access to the entire metaverse from any low-end PC or Mac in your home. “We’re happy to be able to empower SL Go users with more choice. They’ve told us they want a choice of viewers, so offering the popular Firestorm viewer was a natural next step.” said Rick Sanchez, VP of Product and Marketing at OnLive, at the launch of the new offering. I’ll have a more in-depth look at Firestorm on SL Go available shortly. Previous Post The Fantasy Faire 2015 calendar really is yours to own! That’s some great news. With SL Go, one of my main gripes has been the fact that I was saddled with the official viewer’s CHUI – an interface I’d rather not touch with a 10-foot pole. I logged in this morning and didn’t get that choice… have submitted a support request. Out of curiosity, do you know if SLGo’s Firestorm supports enabling RLV? Because if it does, many of my theatrical performance issues would be solved in one fell swoop. I can’t help with the log-in issue; truth be told, those of us furnished with test accounts had to access Firestorm differently, and so the screen shot and notes supplied in the review is via OnLive. So best move is the old support ticket. As to RLV – yes, that is active in Firestorm over SL Go. AFAIK (and have looked at), the only capabilities which are absent are those you may have seen lacking in the SL viewer, plus anything else in Firestorm that requires local disk access (additional local pickers, the back-up and restore options), or the sending of data elsewhere (e.g. Firestorm’s own crash reporting option in Preferences). Thanks – support ticket issued. And that is fantastic news! One of my biggest limiting factors was being able to run multiple avatars during highly intensive performances that demanded RLV, and I’ve been hoping it would be enabled in something like SLGo since I first saw it appear! This is fantastic news, thanks for replying. Just a minor (maybe) caveat to all the truly deserved enthusiasm over SLGo – and I love it, too – is anyone else racking up 10 Gb/day in downloaded content since using SLGo for Second Life? I just got the call all naughty bandwidth hogs on Comcast get when they are about to blow through the 300 Gb monthly limit on downloaded content. That, I have to say, unsettled me. I’ve had Netflix before, used it often, and never got that particular phone call. I DID leave feedback on onlive.com’s site about this, by the way.